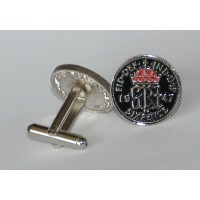 Quality reproduction enamelled lucky sixpence cufflinks. 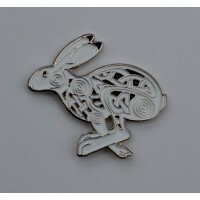 Approximate size of design: 19mm dia..
Quality enamel pin badge.Butterfly clutch fastening.Approximate size: 25mm x 27mm.Supplied in a gift..
- UK delivery: £1 for first item, then 15p per item. - European delivery: £2.99 for first item, then 15p per item. - Singapore, Australia and New Zealand: £3.99 for first item, then 15p per item. - All other Worldwide delivery: £3.79 for first item, then 15p per item. For wholesale orders (50+ items), please contact us for delivery options. All items returned within 14 working days, at buyer's expense and in the same condition as when received, will be exchanged or refunded in full.